Medicated Follower of Fashion: Little Casa Clothing Review - My Little Super Hero! 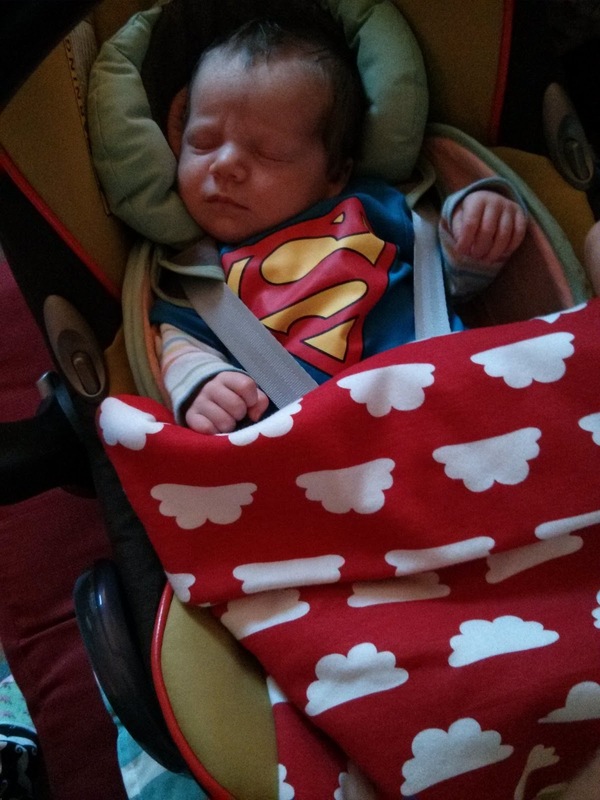 Little Casa Clothing Review - My Little Super Hero! Recently a lovely new clothing company were brought to my attention - Little Casa. They are a very new start up company, their website has only just gone live, but they stock some really cute items for the little people in your life! 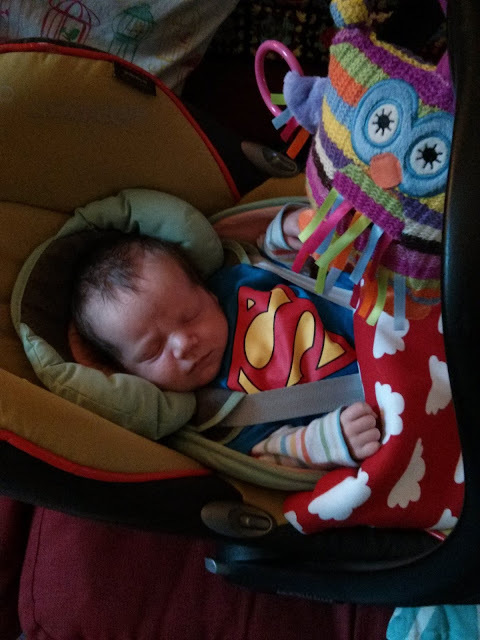 We were sent a cute Superman top for Felix to review. The t shirt arrived really quickly, nicely packaged. The quality of the material and print is great, just what you'd want. It's a nice bold design and everyone notices when your child is wearing something as bold as this!! The print was a bit hit with hubby as well. I've washed the top and it's come up well, which is essential with children's clothing I feel - especially baby clothing - we all know how often baby clothes need washing!! I feel the sizing is accurate. I got 0-3 months for Felix and it fits him nicely with some room for growth. He's not a huge baby, but not tiny. If you fancy something a little cuter and less in your face, Little Casa stock a cute Peter Rabbit range. They also stock Batman and some Rock influenced items. As Little Casa have only just got their website live, they are offering a little something for customers - 10% off orders of £15 and over and if you spend £30 or more, you get free delivery, 10% off AND £10 off your order. You can follow Little Casa on Twitter here and like their Facebook page here. Their webshop can be reached here or from any of the links above. I love the blanket! Is it Farg and Form? I have cushion covers that look just like the blankie. Thank you for leaving me a comment! I appreciate every one! Copyright - Medicated Follower of Fashion - Alex Bridger 2009 - 2017. Simple theme. Powered by Blogger.